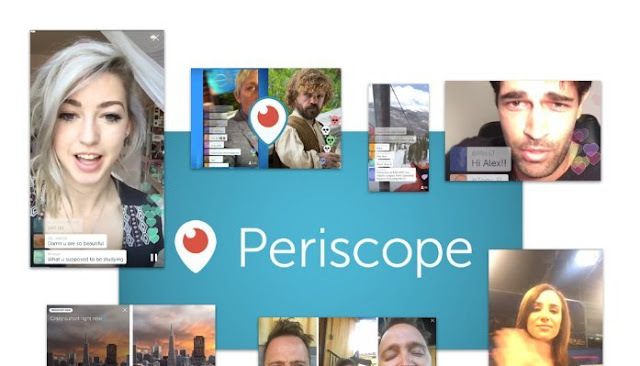 Periscope are taking some cues from their owners - Twitter - and starting to make their approach more TV-like. The mobile version of the live-streaming app has had curated channels for quite a while, but the desktop version requires a lot more human intervention to find the right feed. Sorry, that should be required, as the curated channels have now made the leap from mobile to desktop. This is yet another example of the recent trend of more advanced services on mobile, which while understandable given modern trends, still seems very backwards to people like me who used to be amazed that you could play Snake on a mobile phone. If you jump on Periscope.tv now, you'll find yourself faced with a brand new home page with channels curated by the in-house team, and channels curated using popular hashtags. You can scroll between them both at the same time until you find a feed that tickles your fancy. As you'd expect, clicking on a channel will take you to a feed of all the relevant streams. It's all very fluid, and easy to understand, even if the multiple videos can sometimes be a bit visually overwhelming. The featured ones tend to be specific to something that's going on in the world right now, whereas the hashtag ones are based around themes like food, music and discussion. Beyond this, you also get sections like 'Walk on the Wild Side', 'Master Casters' and 'Discover Your Next Favourite Musician'. You can also view the channels in a list, making it a little bit easier to find something if you already know what you're looking for. Of course, there's always the search function if neither of these options are getting you where you want to be. There's no reason why Periscope shouldn't be as intuitive on desktop as it is on mobile, and in fact if you're following news, this might be even better.